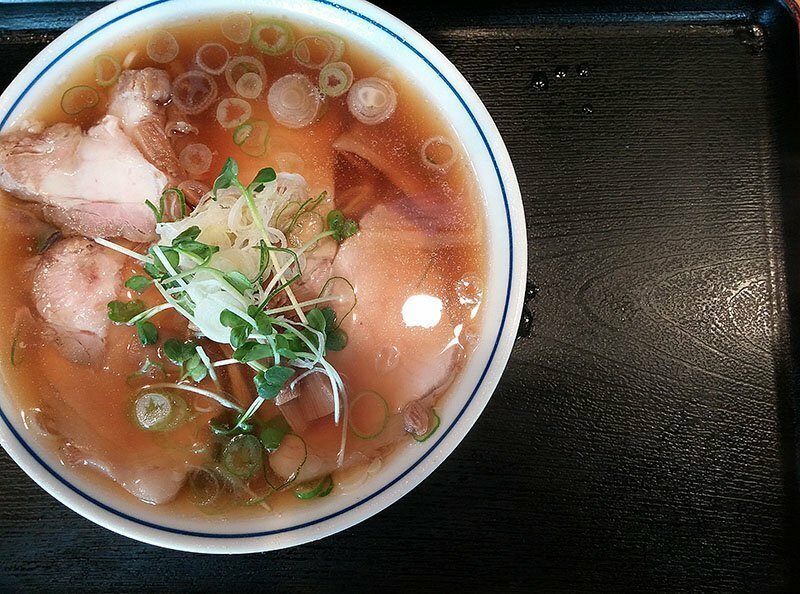 It has always been a dream of mine to wander the streets of Tokyo and eat copious amounts of sushi and ramen. For the last two weeks, I was able to live that dream. 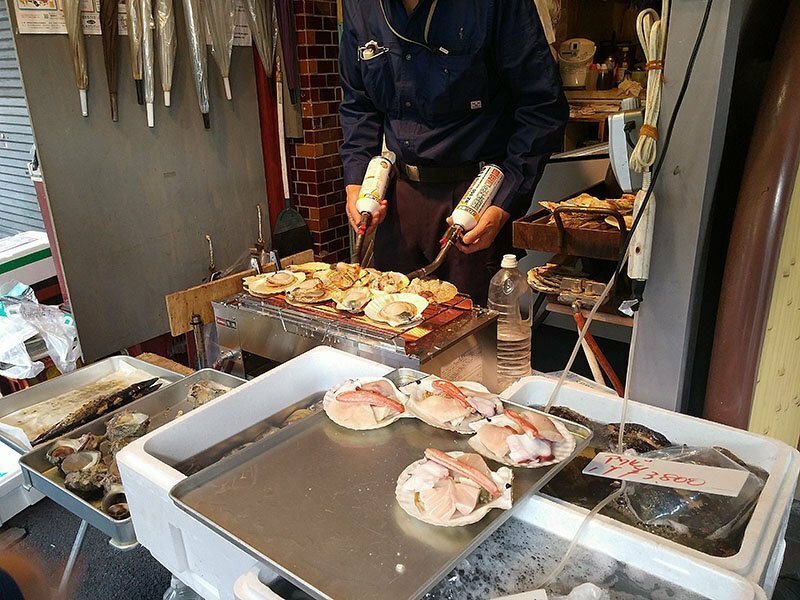 Now it’s my turn to share some of my favorite moments and eats from the amazing country, starting with the famous Tsukiji market. 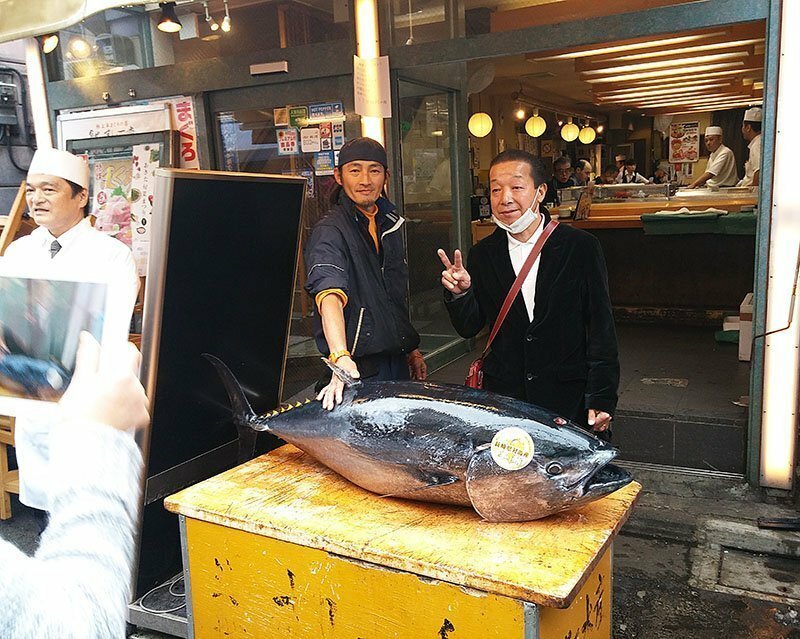 Tsukiji market is the one place every chef goes to purchase the freshest seafood and every customer goes to eat the best sushi. 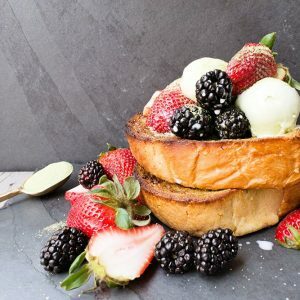 You can find literally anything seafood there from small vendors offering raw and prepared snacks to dried seafood to snacks to sweets and even tea. 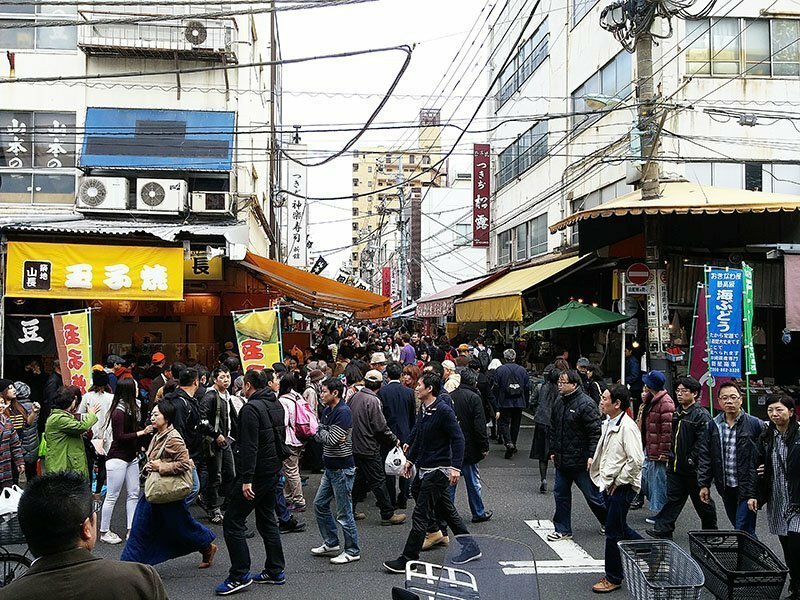 Once it hits 10am, the streets become crowded with both locals and tourists. 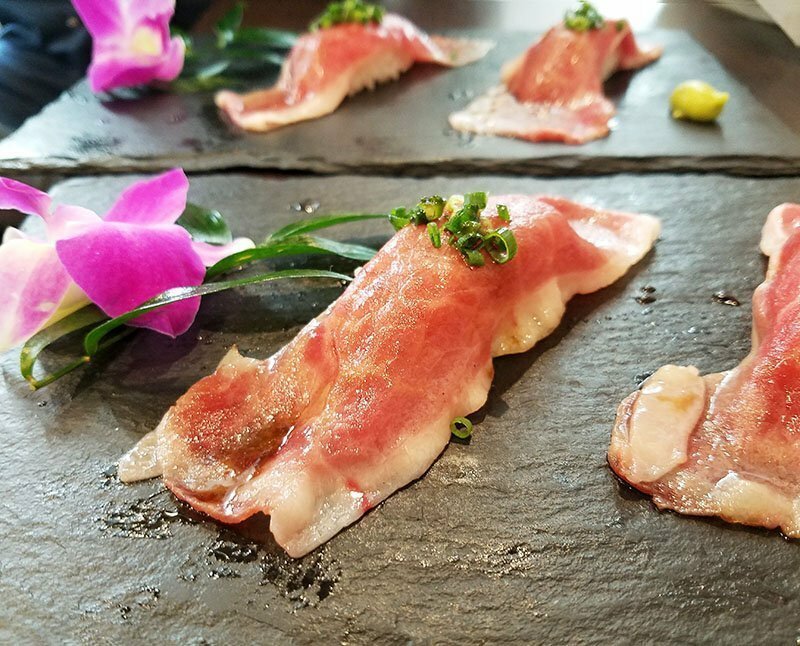 Various types of bonito flakes, a chef’s dream. 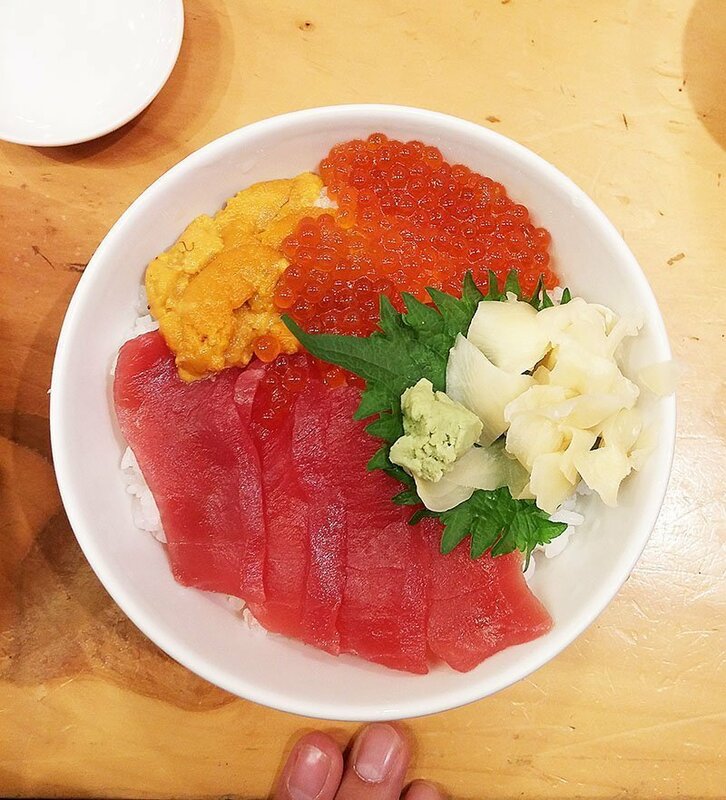 There are endless restaurants serving sushi bowls, with various toppings. 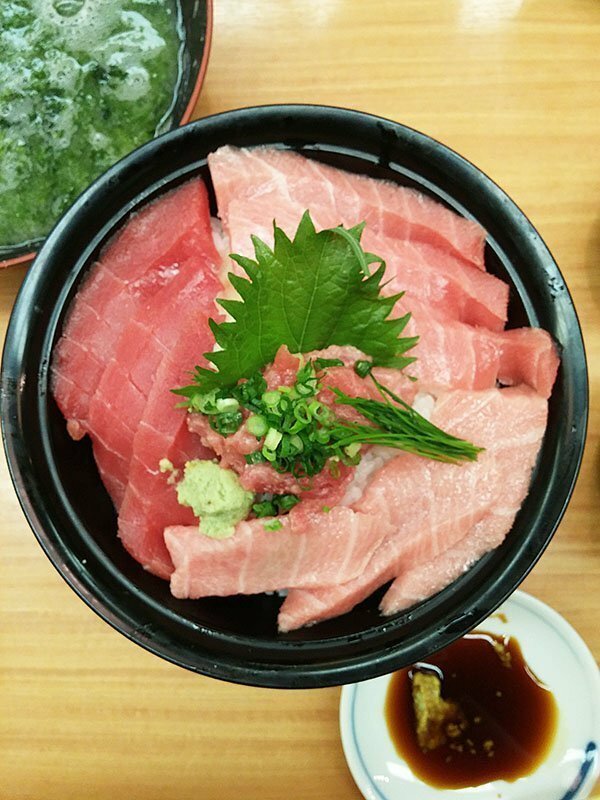 This “3 bluefin tuna bowl,” serving 3 grades of tuna along with tuna head was served at Sushi Zanmai. If visiting this particular restaurant, make sure to order their sea eel! The quality of the sushi just doesn’t compare with anything I’ve ever had back home. 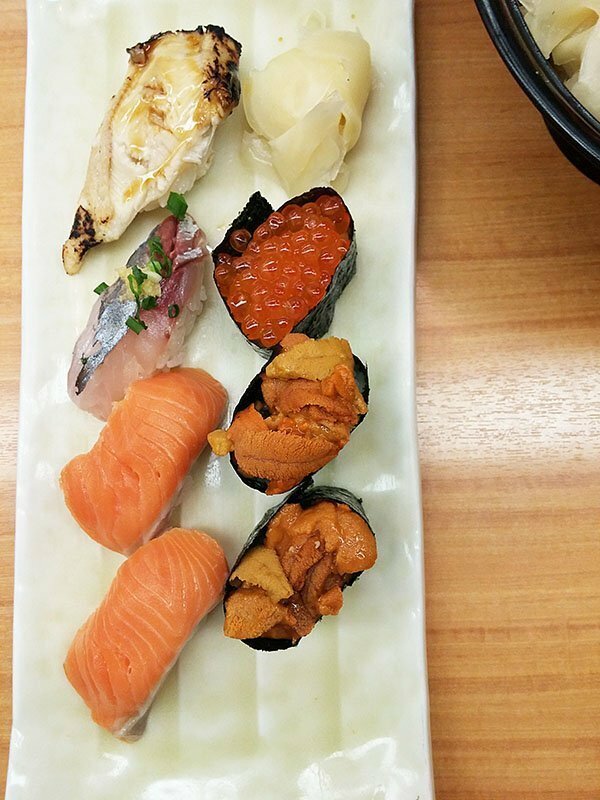 The salmon melted in my both, the uni had layers of flavors and the sea eel was the most exceptional, most tender piece of eel my taste buds ever experienced. 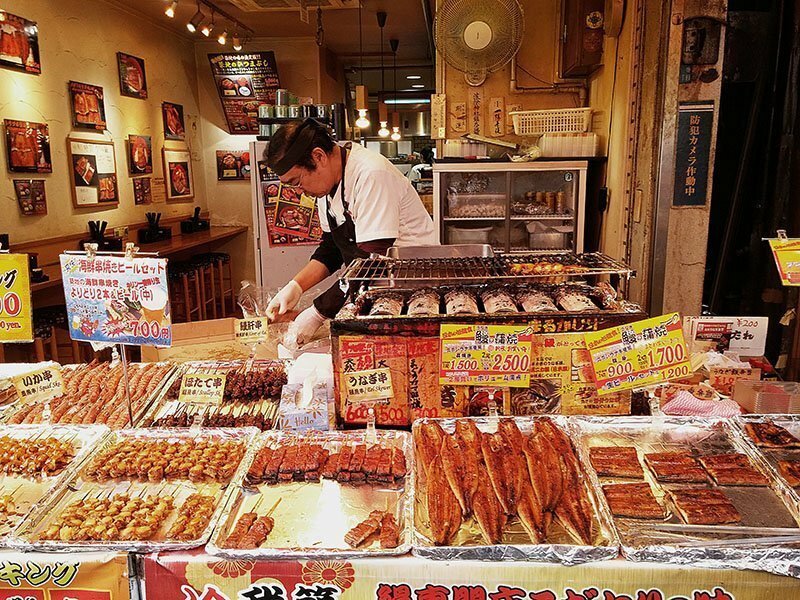 After trying different sushi bowls, you can walk down the busy streets to find various vendors such as the one above selling unagi, scallops, squid, and shrimp all heated on a charcoal grill. Scallops are grilled and broiled fresh to order. Tamago on a stick? Yes, please! Sweet or salty, each version is equally delicious. 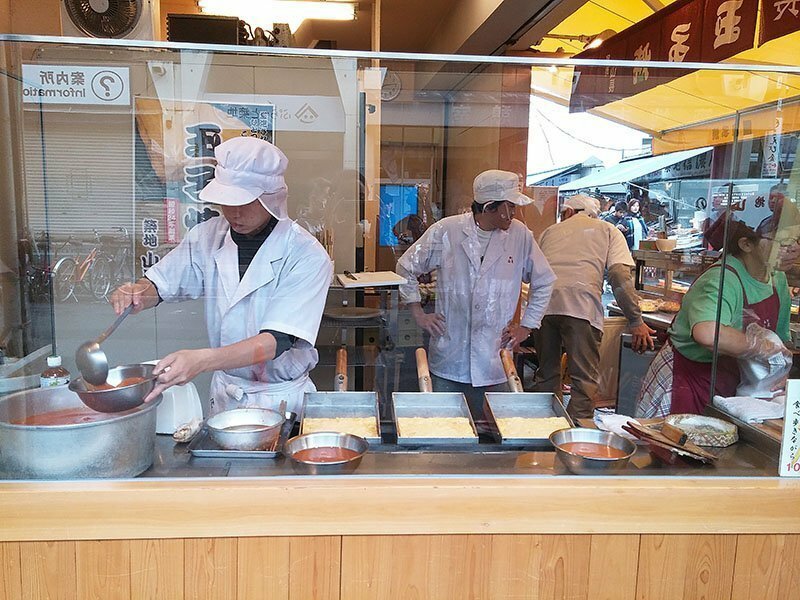 Not only does Tsukiji market have myriads of sushi, but it also has hot foods such as this ramen stand. 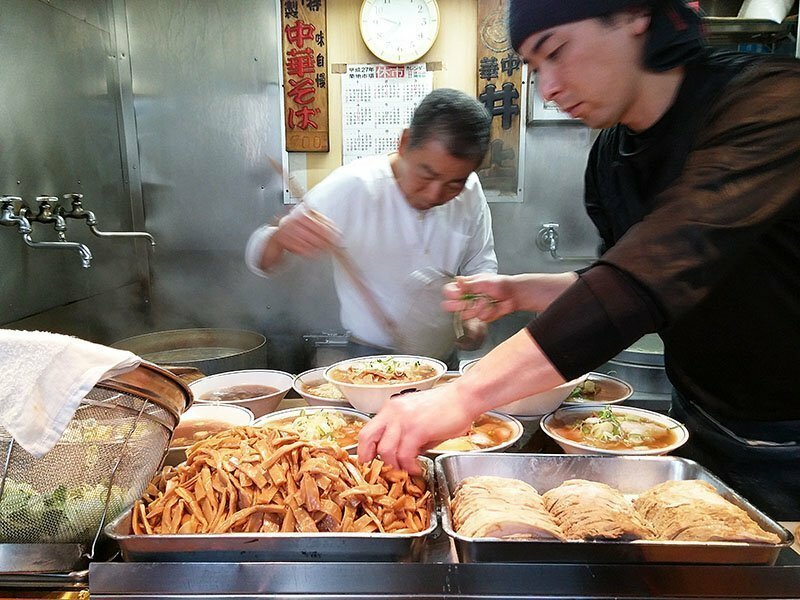 Father and son preparing bowls and bowls of ramen for the line of 20 plus people. They are, by far, one of the busiest stands even at 11 am, and with good reason. 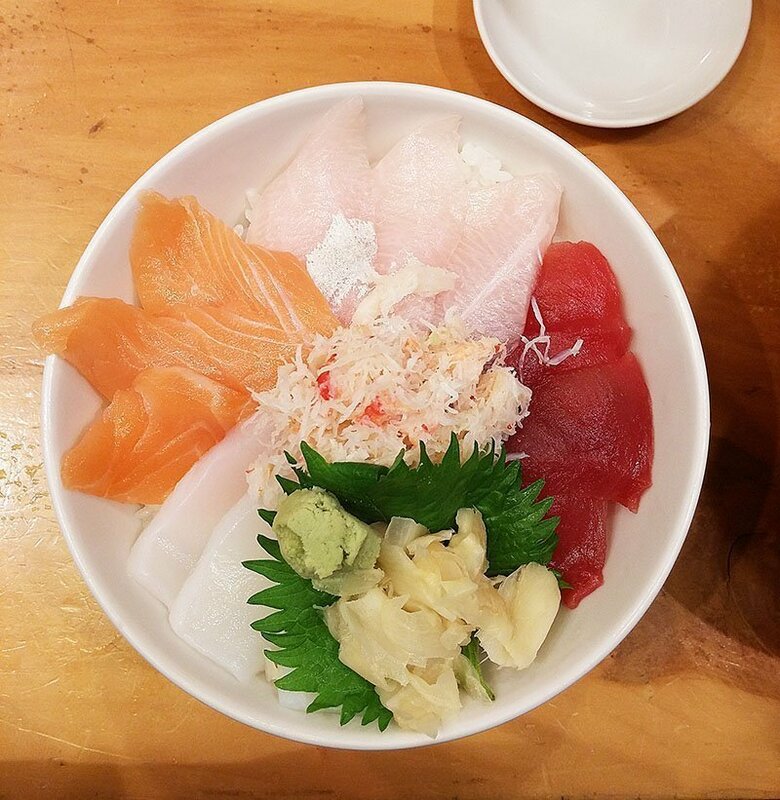 I am not ashamed to say that I ate here 3 times out of the 6 times I came to Tsukiji market. Another popular hot spot was the line for beef bowls aka gyudon. Tender braised beef on a bowl of rice. 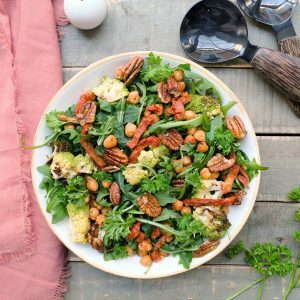 Seems rather simple but the flavors are anything but. 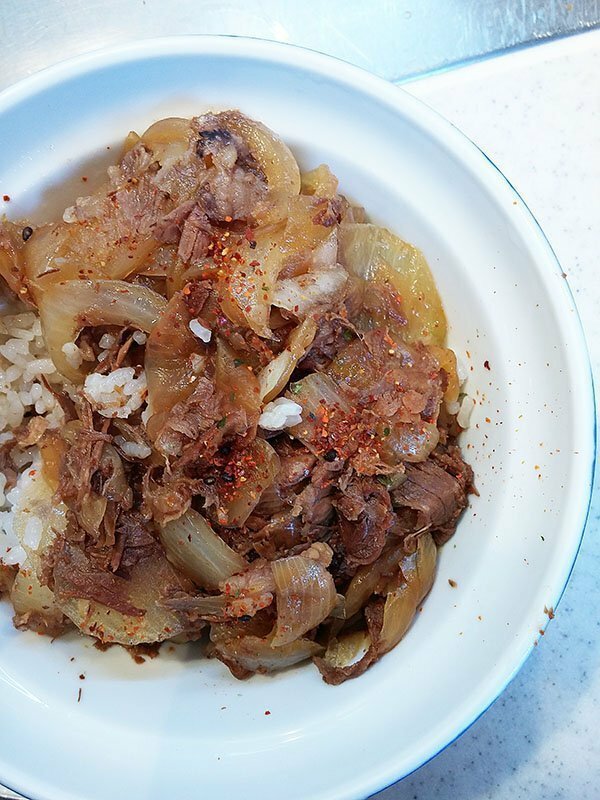 The sweet onions with the savory beef topped with red chili flakes are enough to warm up your stomachs. The other item to order was the #2, beef tendons over rice. A hearty way to start the day. Once you’re stuffed on seafood, there’s no other way to end the day than by stopping by a fresh mochi stand. 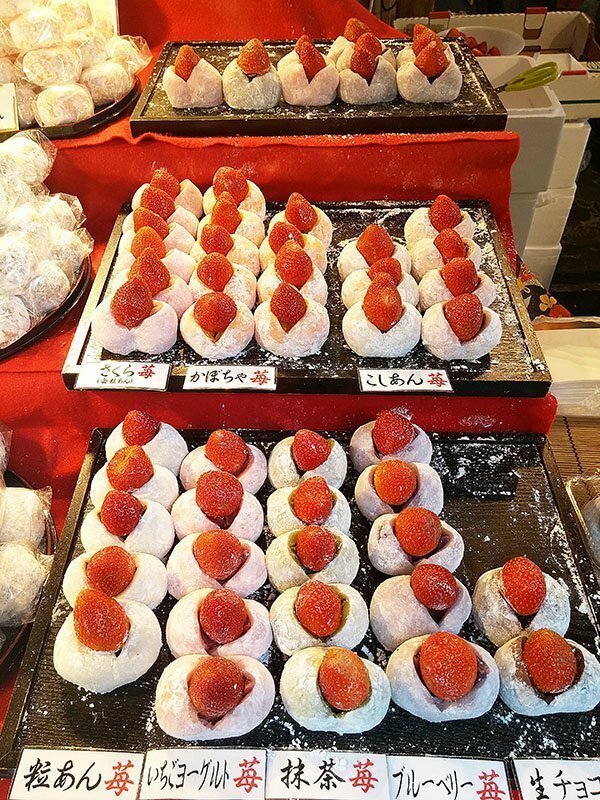 Strawberry daifukus at 300 a yen with various fillings such as custard, green tea, blueberry, chocolate, chestnut, and strawberry are all available. How do I remember all the flavors, you ask? It might possibly be because I visited them 4 times. The best mochi hands down. 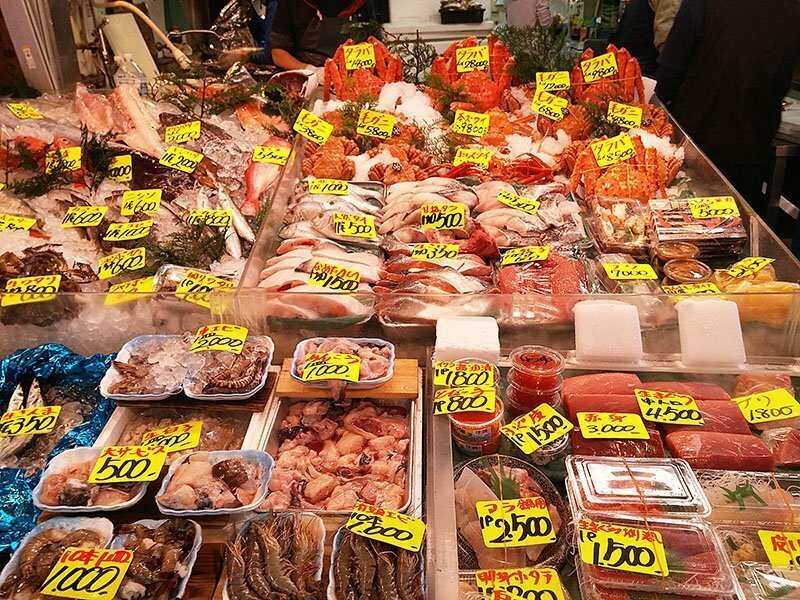 If you’re ever in Tokyo, you must stop by Tsukiji market at least two times. 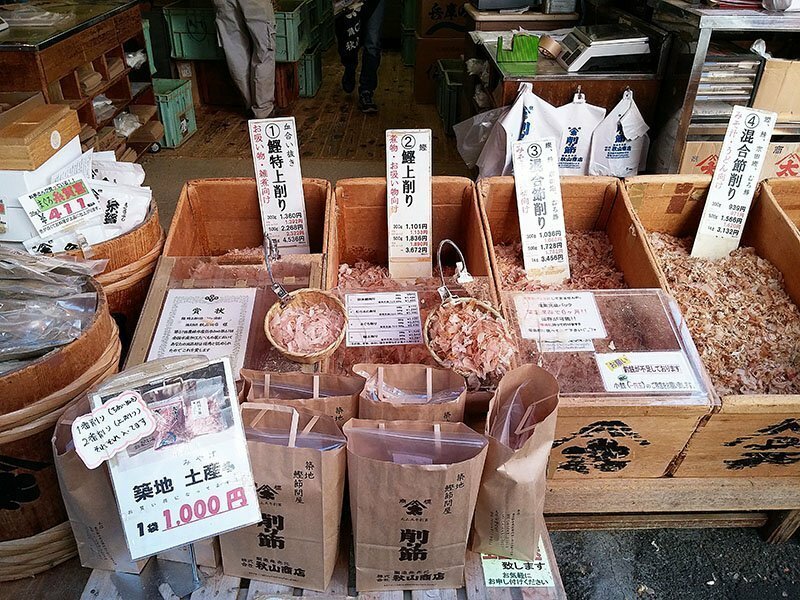 Click here for part 2: Sushi Dai in Tsukiji market.